Tsolakis Cars is dedicated in providing the ultimate automobile buying experience. Tsolakis Cars is your #1 source for buying a quality pre-owned vehicle from UK and Japan. We have extensive relationships in the dealer community allowing us to purchase a wide variety of lease returns and used car trades at exceptional quality and value. This enables us to pass along huge savings on the highest quality vehicles of your choice. No more waisting time for Car searching! Come directly to us and we will find the car tailored to your needs and budget. Choose exactly the car you want and not what others want. Remember, if you need to talk to us, we are only a phone call away. Our Sales team is available to help you with all your automobile needs. Feel free to call us or arrange any time to meet us in person. Our vision is to provide a smooth car buying and selling journey for all Cypriots at reasonable prices. 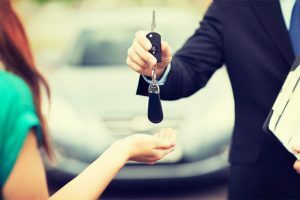 At Tsolakis Cars in everything we do we put our customers first! Our Car portfolio continues to expand and diversify, allowing us to grow with the evolving needs of our customers and provide support during every step of their journey.